Edward Jones is the President/CEO of Jones Kirkpatrick and Associates. 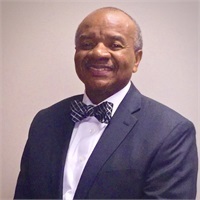 He received the Chartered Financial Consultant (ChFC) designation from the American College, and is a registered principal with Securities Service Network, LLC., member FINRA/SIPC. Edward is also an Investment Advisor Representative of SSN Advisory, Inc., a registered investment advisor. His practice focuses on estate, wealth and retirement planning. After gaining an understanding of a client’s needs and goals, he uses a disciplined approach to help clients plan for and work toward their financial and life objectives. Edward holds the FINRA series 6, 7, 26, 24, 63 and 65 securities licenses. He has been a financial advisor since 1997. Edward is a member of the Rotary Club of Farragut and the board of directors of the Men of Tomorrow Foundation.